Azubike C Onuora-Oguno is Senior Lecturer in Jurisprudence and International Law at the University of Ilorin, Nigeria, and Researcher with the Centre for Human Rights, University of Pretoria, South Africa. He is also Solicitor and Advocate for the Nigerian Supreme Court. Dr. Onuora-Oguno has written widely on rights to basic education, children's rights, and other areas of law. 5. 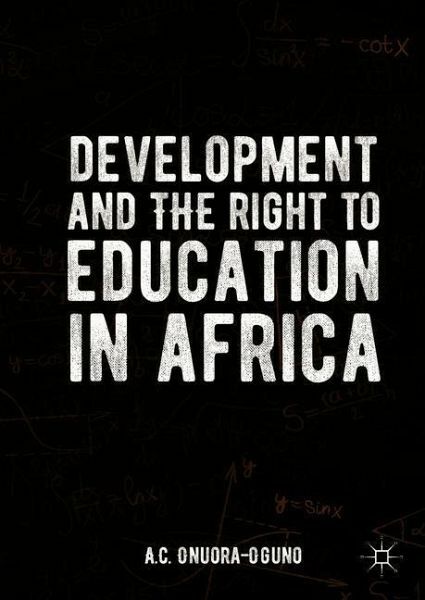 Chapter Five: African Perspective of Education: A Catalyst for the Desired Africa of Tomorrow?